Ah Quince, you perplexing fruit with a storied past. It looks like an apple or a pear, but don’t you dare take one bite of it raw! 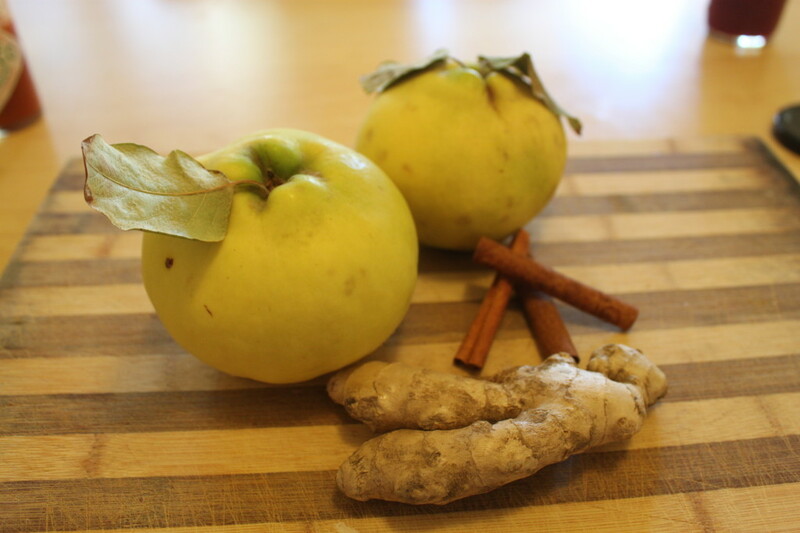 Supposedly, 17th Century cookbooks contain more recipes for quince than any other orchard fruit, so I wonder what cooks living hundreds of years ago knew that I don’t! But both Arata Farms and Hale’s Apple Farm have gorgeous quince right now at MCM so I decided to go ahead and give a new recipe a whirl. 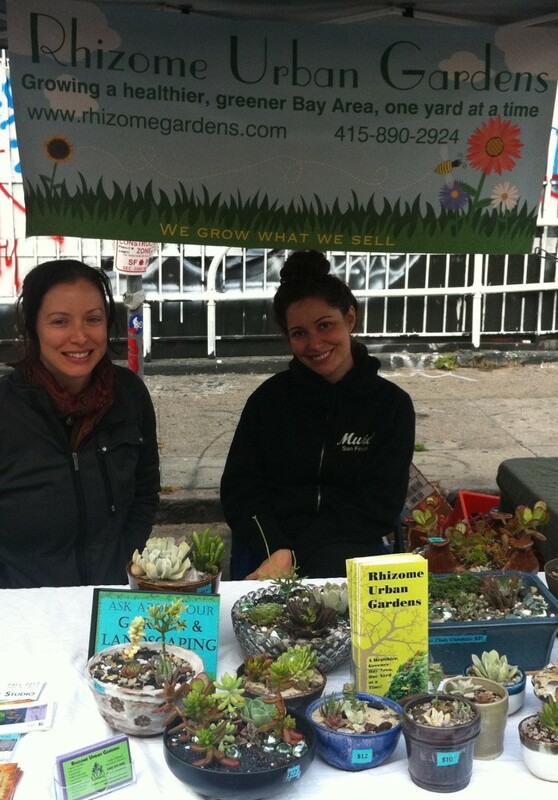 We’re thrilled to introduce a new vendor to the market: Rhizome Urban Gardens! Rhizome Urban Gardens is a worker-owned cooperative that designs, installs, and maintains organic gardens and landscapes. Though creating landscapes that are beautiful, ecologically sound, and food-producing, they can transform any space into an oasis! 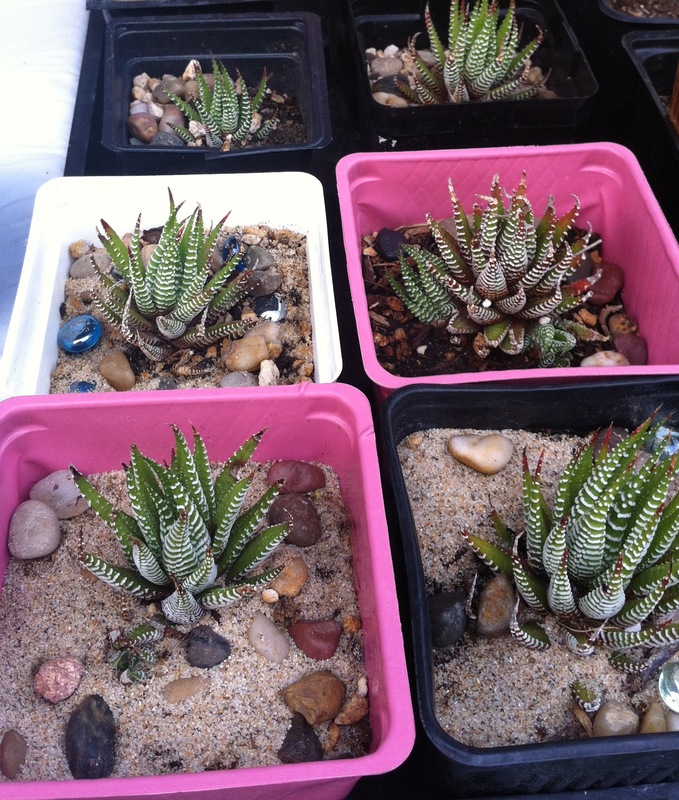 At MCM, Rhizome will sell seedlings, starts, dish gardens, and creative plant arrangements. You can also pick the brains of the incredibly knowledgeable team behind Rhizome Urban Gardens for gardening tips, or perhaps even hire them to landscape your yard, incorporating the fundamentals of permaculture into your garden and your home. 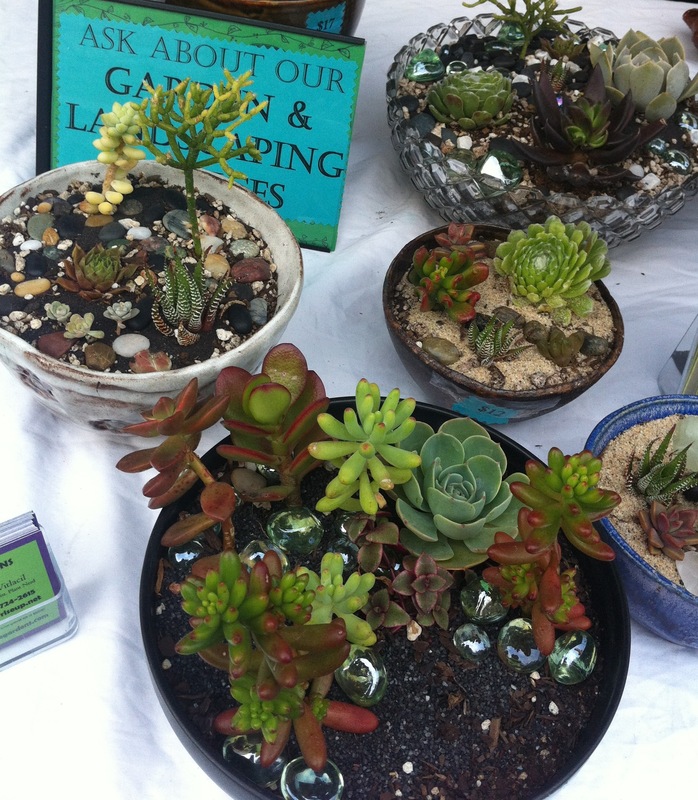 Last week was their first week out at the market, so come on down this Thursday to say hello and welcome them to MCM! This recipe was inspired by the arrival of pomegranates from Twin Girls Farm! 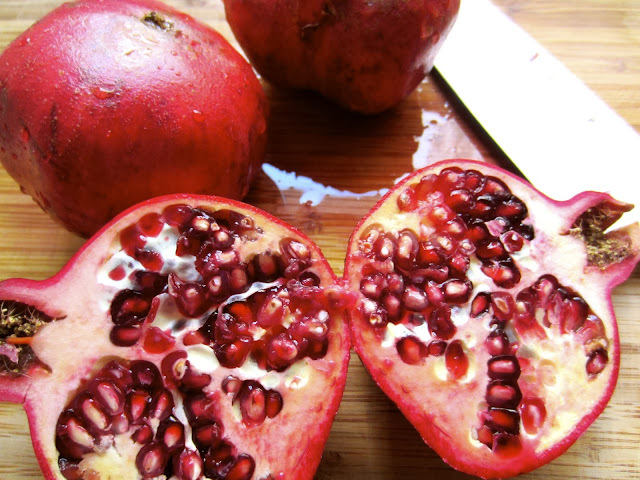 Now, if you’re like me you’ve always had a love/hate relationship with pomegranates. They taste amazing but there’s the special challenge of getting at those delicious seeds. The juice gets everywhere, not to mention those funky thin membranes. But I’ve always found that if I just throw on my oldest stains-are-ok shirt and go along with it it pays off, because they’re just so good. In addition to being delicious, the juice from pomegranates is chock full of health benefits, including high antioxidant power, benefits to cardiovascular health, and there is even some evidence of anti-cancer properties. To the naked (and uninformed) eye, baskets of these two small green peppers often found at MCM this time of year might appear indistinguishable. But guess what–they each have quite a story to tell, with properties that make them unique. I decided to delve into the history behind these two fraternal twin peppers a little more to find out what makes makes them special. The most famous produce of the Spanish city Padrón are its peppers. Franciscan monks first brought pepper seeds to the area from Mexico in the 16th century, which then were adapted to the soil and climate of the area. Most of the peppers taste sweet and mild–like tiny bell peppers–though some are particularly hot and spicy, which can give some special character to a dish prepared with these little guys. 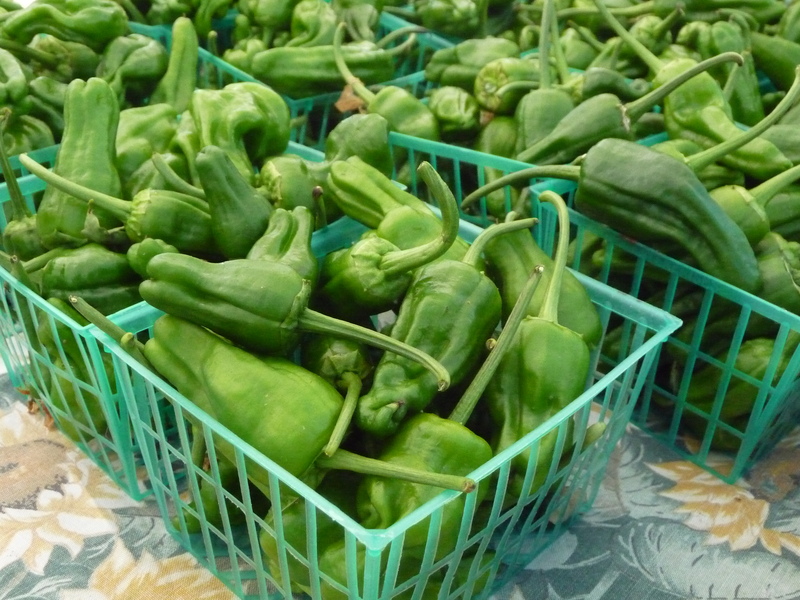 The popular Spanish saying,“Os pementos de Padrón, uns pican e outros non” meaning “Padrón peppers, some are hot and some are not” captures this sentiment perfectly. Although it’s not always the case, some have found that the peppers grown later in the season (towards August and September) tend to contain more capsaicin–and thus are spicier–than the grown in June and July. A couple sources I found said that about one in every 20 peppers will be hot, and the rest will be mild. However, sometimes you’ll get a basket with a slightly higher ratio. It really is a game of spicy roulette when you eat these peppers! Shishitos on the other hand, come from Japan, halfway around the world, as Ash told me. The Shishito pepper is small and finger-sized, slender, and thin-walled. The name refers to the fact that the tip of the chili pepper looks like the head of a lion (“shisho”) and in Japanese it is often abbreviated as Shishitō. Though apparently some varieties of Shishitos do form capsaicin and become spicy, Ash assured me that I wouldn’t find a spicy pepper in my basket–and I didn’t. 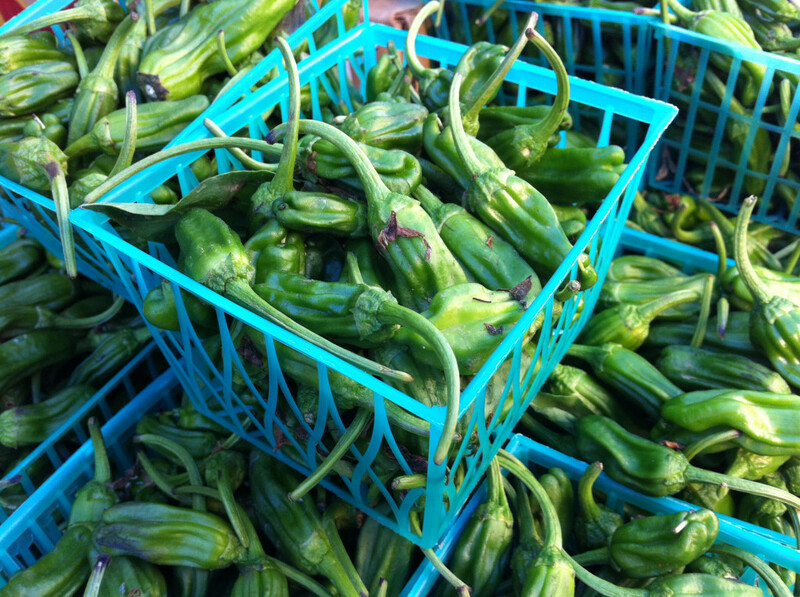 The peppers generally become spicy in hot, dry conditions, and we won’t often get such weather here. According to Ash, Shishitos are also more “buttery” than their Padrón counterparts. The easiest way to tell them apart is the fact that the Shishitos are usually more slender and wrinkly, while Padróns tend to be fatter, and have an appearance more similar to Jalapeños. Lucky for us, both varieties of peppers cook up easily and with much the same simple preparation–toss them in a glass baking dish with some olive oil, coarse salt, and black pepper, and bake for about 20-25 minutes at 350 ° F until slightly browned in parts. It doesn’t get much easier than that! I like to sprinkle them with some goat cheese or feta if I have it on hand. Enjoy the rest of our San Francisco summer, and happy pepper picking! If you haven’t yet had a chance to taste some of the delicious dinner options from Boffo Cart, you’re missing out on some of the best food that MCM has to offer. Operated by Rhasaan Fernandez of Sam’s Log Cabin in Albany, this street food vendor joined the market in April 2013. Boffo Cart offers a unique menu each week that has something for everyone–vegetarians and omnivores alike. The best part is, everything is made with organic, in-season produce. 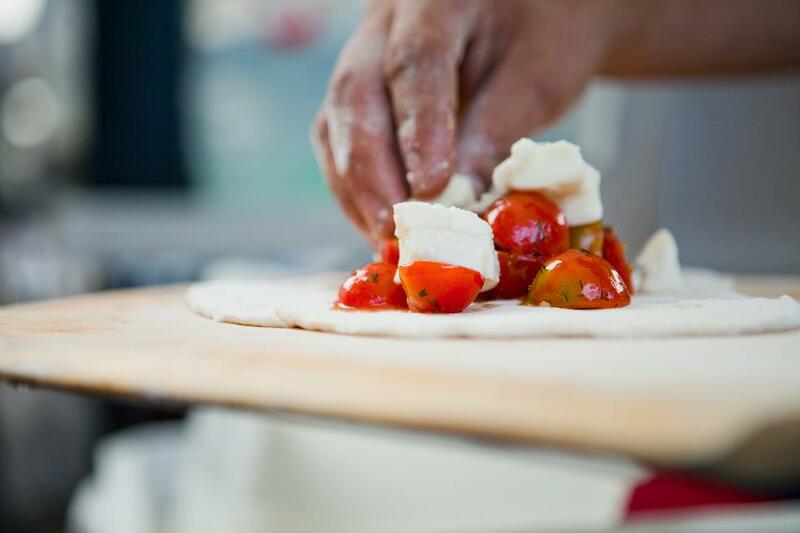 Rhasaan makes his own calzone and piadina dough, and can often be found shopping for his ingredients from the MCM vendors before the market. Come on down to see what this talented chef has whipped up with all the produce from the vendors you’ve come to know and love. Get on down to MCM this Thursday 4-8pm, and come hungry!